Our Menopause pure essential oil blend contains 100% pure Bergamot Mint, Clary Sage, Cypress, Vetivert and Geranium to help soothe the emotional and physical imbalances that can occur during the menopause. Our Menopause essential oil contains a harmonising blend of Bergamot Mint, Clary Sage, Cypress, Vetivert and Geranium to assist with the physical and emotional challenges of the perimenopause and menopause. According to the NHS: “The menopause is when a woman stops having periods and is no longer able to get pregnant naturally. This typically occurs between the age of 45 and 55 as a women’s oestrogen levels decline”. Some women may go through the menopause without experiencing too many problems, however for some, the symptoms can be quite severe and have a profound impact on both body and mind. Symptoms of the menopause include hot flushes, night sweats, headaches, difficulty sleeping, fatigue, aches and pains, bladder problems, sore breasts, vaginal dryness, reduced libido, low mood, anxiety, irritability, problems with memory and concentration, hair loss and skin changes. 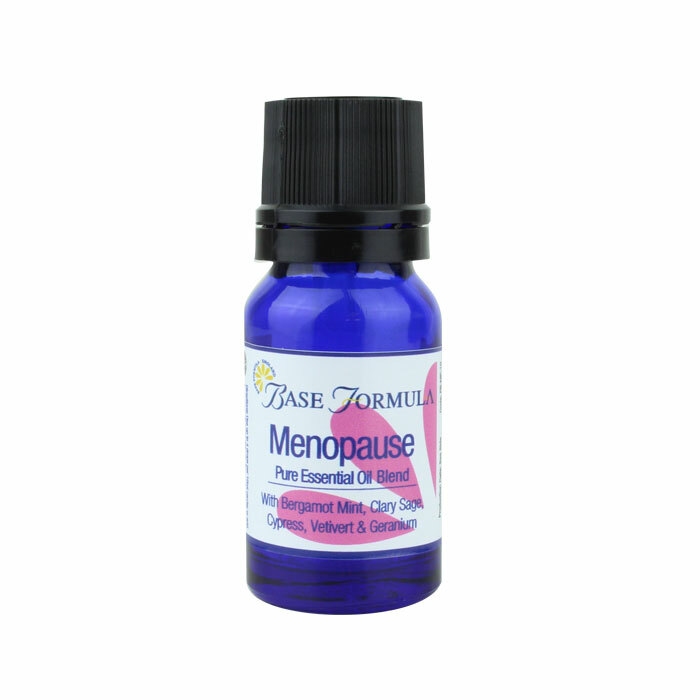 Thankfully there are various essential oils that can assist with the challenges that the menopause may bring, and we have included some of the most useful oils in this synergistic blend. Bergamot Mint is a lovely cooling, calming, uplifting essential oil that will soothe the nervous system and lift the mood. Clary Sage has an oestrogenic action that is particularly useful for calming hot flushes and night sweats. It has an antidepressant, euphoric effect that can lift depression and boost the mood. It can also help to promote more restful sleep. Cypress is excellent for treating fluid retention and regulating heavy and painful periods that can occur during the perimenopause (the transitional period before the menopause). 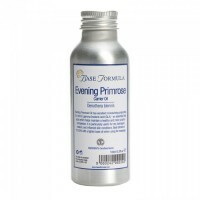 It can assist with hot flushes and sweating and soothe the nerves to encourage a stronger, calmer demeanour. Deeply relaxing Vetivert is known as the ‘oil of tranquillity’ and is ideal for soothing anxiety, stress, depression and insomnia. It is often used to help balance menopausal hormones and tame hot flashes and mood swings. Geranium has antidepressant, uplifting properties and is wonderfully balancing for the hormones, emotions and skin. Our Menopause essential oil is ideal for use in the bath, for massage and in body creams, lotions, diffusers, inhalers and spritzes. 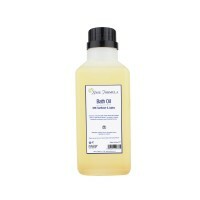 Click here for more detailed information on how to use our pre-blended essential oils.